When people see that my husband and I have different cultures, the question that usually arises is what we eat at home. My answer is always the same. Ninety percent Italian and the rest of the time, we have Asian dishes, mostly Filipino. The whole family loves Italian food. Give them pizza and pasta everyday and no one will complain and give them rice and their favorite Asian dishes to go with it and you won't hear any complaints either. 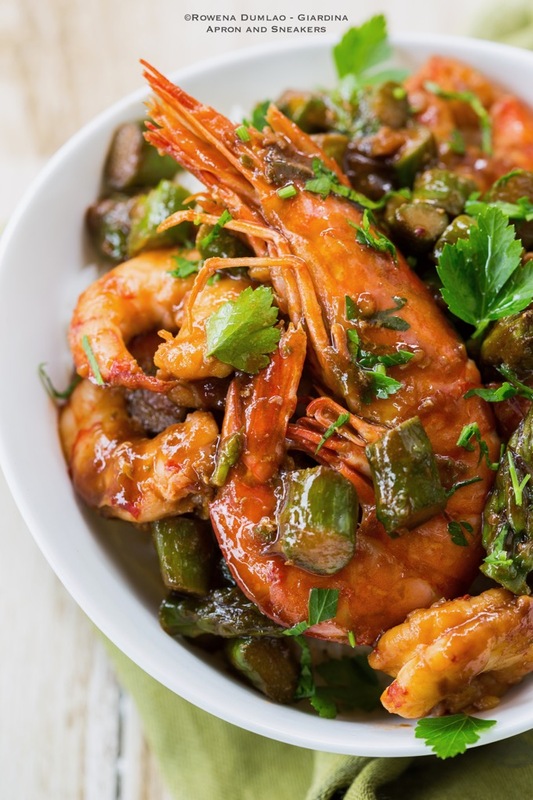 Shrimp and asparagus are two of my favorite ingredients to put together whether I am cooking Italian or Asian dishes. I think their individual flavors are so distinctive and when I put them together in one dish, the merging of tastes makes bond even more delectable. 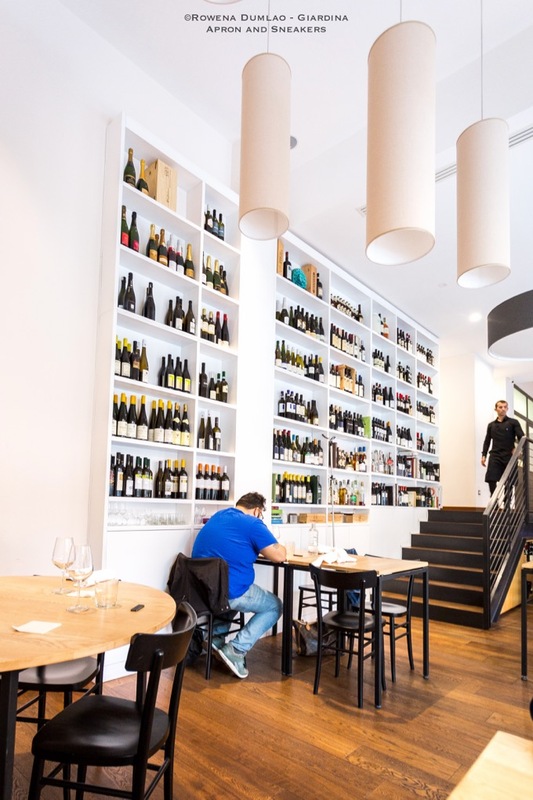 Through the glass wall, the white walls, tall shelves of wine all the way to the ceiling, and emphasis on wood, Osteria Fernanda's minimalist contemporary design beckons you to come in and take part in their phenomenal rendition of gastronomy. I like places where the sun rays are allowed to stream inside and where the brightness accentuates the food that I am eating. With simplicity around the restaurant, the dishes that arrive on the table instead speak of originality and creativity. Osteria Fernanda's muted ambiance gives the food the importance that they need because nothing can distract the senses from the protagonists. In the high valleys of the Lessini Mountains, between Vicenza and Verona lies the vineyards of the durella grapes. The land is the ideal environment for the vines to grow for the volcanic minerality of the soil, ventilation and suitable day and night temperatures. Durella is an autochthonous grape variety that comes from ancient times and is described as acidulous with thick skin and rich in tannin. 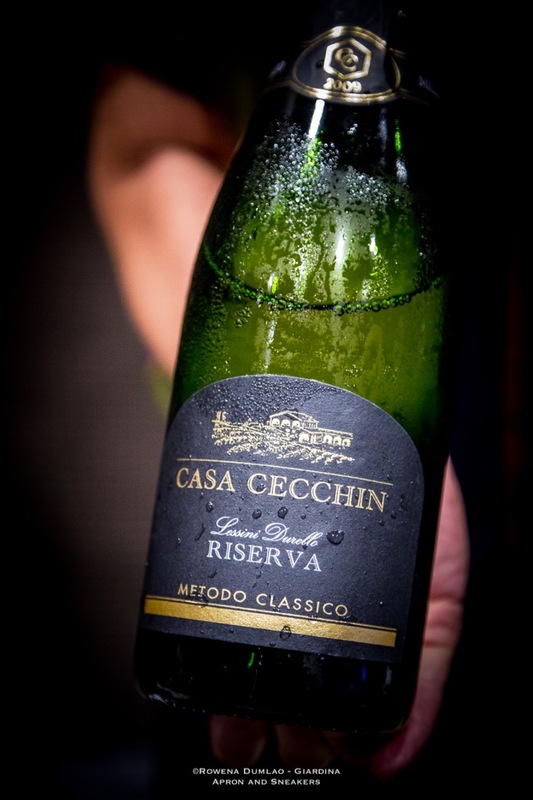 It's perceived as a perfect variety for making spumanti or sparkling wines. When strawberries and chocolates meet, there's never a doubt that something great comes out. Always. The love for the one of the best sweet combinations doesn't have any limit to ages because adults and kids (even dogs try stealing too) can't ever say no to this sweet blend. This recipe can be your make-ahead dessert or snack that is quite easy to prepare. 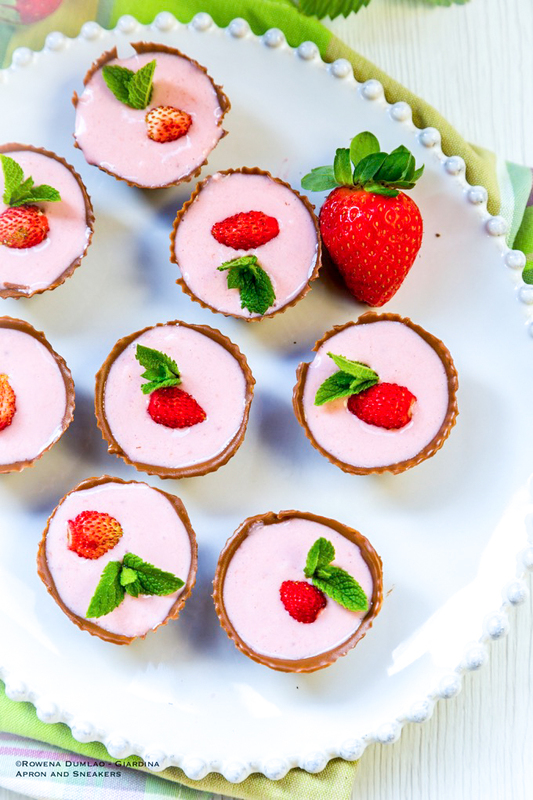 Make them small so they're easy to pop and let the complete flavors of the strawberry cream and chocolate cups melt in your mouth. Are you ready? 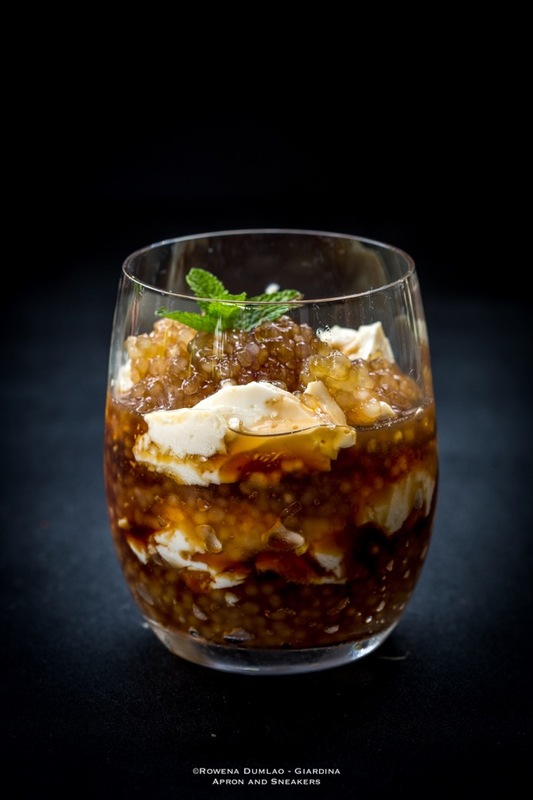 Taho is soft tofu mixed with sago pearls and syrup slightly flavored with vanilla served in a glass. Oh, and it's our breakfast. That was how I explained what this taho is to my husband after I came back to our room early in the morning on our first morning in the Philippines. Poor guy almost died of a heart attack after I sprung out of the bed with surprising speed and ran out the bedroom without giving any explanation. He knows that nothing, even shaking of the bed or dousing of cold water can make me stir out of my morning sleep. He diligently takes me my coffee to bed every morning to help me clear up the morning cobwebs in my head. He couldn't believe that there's something more powerful than coffee that can make me jump up like that and it doesn't even contain caffeine.